Antidepressants are commonly used as migraine preventives. Amitriptyline has the best evidence for use in migraine prevention. Nortriptyline is an alternative in patients who may not tolerate amitriptyline. The sedating effect of TCAs can be beneficial for patients with comorbid insomnia. SNRIs including venlafaxine and duloxetine also have evidence for efficacy and may be the most effective treatments in patients with comorbid depression and migraine. SSRIs including fluoxetine are not effective for most patients. The side effect burden of antidepressants can be substantial. Patients should be particularly counseled about the possibility of a withdrawal effect from SNRIs. Antidepressants are an important option for preventive treatment of migraine. 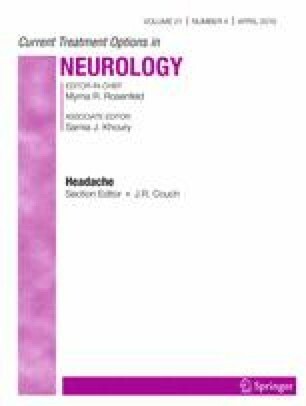 Further research on the efficacy and tolerability of SNRIs as migraine preventives is needed. • Drugs with combined serotonergic and noradrenergic effects have better anti-nociceptive efficacy than drugs that affect serotonin alone. • Amitriptyline has the best evidence for use in migraine prevention, with level B evidence in multiple treatment guidelines. Nortriptyline is the most common alternative TCA. • The sedating effect of TCAs can be beneficial for patients with comorbid insomnia. • SNRIs including venlafaxine and duloxetine also have good evidence for efficacy and may be the most effective treatments in patients with comorbid depression and migraine. Patients should be counseled about the possibility of a withdrawal effect from SNRIs. • SSRIs including fluoxetine are not effective for most patients and are infrequently used. Center for Drug Evaluation, Research Drug Safety Information for Healthcare Professionals - Information for Healthcare Professionals: Selective Serotonin Reuptake Inhibitors (SSRIs), Selective Serotonin-Norepinephrine Reuptake Inhibitors (SNRIs), 5-Hydroxytryptamine Receptor Agonists (Triptans).